Happy New Year! Make a successful New Year’s resolution.新年快樂！訂一個會成功的新年新希望. Happy New Year! I believe many people have already chosen their New Year’s resolutions, even though there is a rumor claiming Dec 21, 2012 is going to be the end of the world. Actually, most people might have experienced that most of their New Year’s resolutions have never been achieved and some people even stopped creating their lists anymore just because of the frustration. But, why? Why do New Year’s resolutions fail? Maybe they’re not realistic goals, maybe it’s due to procrastination. There are some psychological theories behind it, yet I am not going to go through those. I am going to share some steps that might help you make a successful New Year’s resolution based on the Creative Problem Solving skill in our training. First, please write down all the goals you want to accomplish in 2012. It’s important to write them down instead of putting them in your head. You brain needs to remember and process so much information every day, so write your goals down and put them somewhere you can see them regularly. Here I will suggest you use “I wish…” or “Wouldn’t it be great if…” to start your goals. And remember to defer judgment so that any goals could be included in your list. You need to be honest with yourself. Second, review the goals you just wrote down, then select some realistic subset for 2012 by checking the three criteria that follow. Go through the whole list using one criteria at one time. ownership : Do you really own the goals? Wishing for world peace might not be something that you could really do much about. If yes, then put a mark in front of the goal. motivation : Do you really want to see it happen? Sometimes it’s not easy to achieve your goals – you need the proper level of motivation to help you push through all the hard work. Losing weight is an example: if you don’t really care about it, then you might not have enough will power to say no to snacks and exercise consistently. If yes, then put another mark in front of the goal. urgency : It’s a list for 2012 – don’t put ‘retirement’ down as a goal if you are only 20. If yes, then put another mark in front of the goal. At this point, if a goal has three marks it is eligible for entry on your 2012 resolution list. It’s not done yet. You need to plan for it instead of just writing it down. If you don’t think about how to achieve your goals while you write them, trust me, you will never think about it later and of course you won’t do anything about it. People tend to think they will do it ‘tomorrow’, yet it never really happens, eventually resulting in failed resolutions yet again. So the next step is to draw an action plan for your New Year’s resolution. The question is how? What goal? What do you need to do? How? Who? Until When? Report to whom? What do you need to do: There are many things (sub-tasks) you might need to do first for one goal. Think about it throughly and list them all. How: Write all the steps in different rows, being specific. It’s really important here. The more specific, the more likely it will be executed. Who: It’s an interesting part. 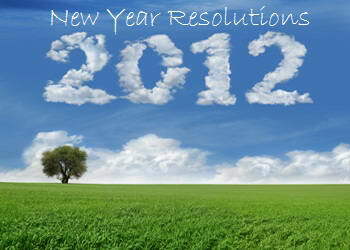 Do you think you should do all the things to achieve your New Year’s resolution? Not really, sometimes you do need others’ help. Until when: Don’t write down ‘three weeks later’ since there will always be three weeks later every time you check it. Select a specific date. This will make it easier for you or other people to follow. Report to whom: People all have the inertia to do things, especially when it’s hard work. Asking a friend or family to help you and reporting what you have done to them will be really helpful. If you don’t do it in time, they will grill you on being late, which will push you to keep on track. What goal? What you need to do? How? Who? Until When? Report to whom? Ok! These are my simple suggestions for a successful New Year’s resolution. Hope it’s helpful. 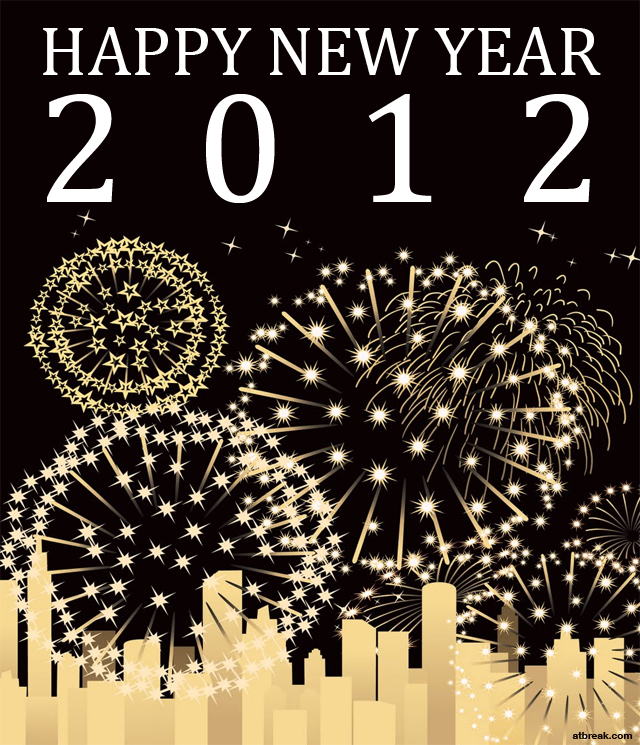 Wish you a Happy New Year and successful New Year’s resolution for 2012.